Whether contractors in gardening and landscaping, in rental parks or when working in the municipal sector, wheel loaders are used where a versatile and reliable machine is needed. For many years now, Wacker Neuson has been a reliable partner in this field for its customers. The extensive product range of articulated wheel loaders is tailored to the needs of customers and can be further customized through various options. Any wheel loader can be used in a versatile manner through numerous attachments, such as sweepers, earth buckets, concrete mixing buckets or snow blowers. Using a hydraulic quick-change device, these can be easily replaced from the operator’s seat. At bauma 2016, Wacker Neuson showed three new models: the WL28, WL44 and WL54. The WL28, a compact wheel loader specifically designed for application in the construction industry, scores particularly well due to its very good view of the working area. The height of the front carriage was kept very low for this purpose. Due to the short wheel base, the machine has a high level of stability. With a tipping load of 1.8 tons, the wheel loader can therefore easily transport a pallet of sett paving (paving stones). The optimized parallel guidance and two large sized lift cylinders provide for a powerful load arm. With an overhead loading height of 2.27 m, even construction site trucks can be loaded. The WL28 is particularly versatile due to the wide range of attachments. The WL44 and WL54 with bucket capacities of 0.8 and 1.0 cu. m are the new powerful all-rounders among the Wacker Neuson wheel loaders. Due to their particularly sturdy design and the self-explanatory operation, they are aimed at customers who require cost-efficient technology for traditional loading work with frequently changing operators. The WL44 has an operating weight of 4, 600 kg and a standard engine output of 35.7 kW (optional 44.7 and 55.4 kW) while the WL54 weighs 5, 800 kg and has an engine output of 55.4 kW. With their overhead loading heights of 3 and 3.33 m, both wheel loaders are predestined for material transport and ongoing truck loading on the construction site. With different operator's canopies and cabin designs, the machines can be outfitted in a very tailored-to-suit manner in terms of function and comfort and allow for applications within buildings, despite their size. In addition, special attachments, such as snow blowers and asphalt milling machines, can be easily operated with the Highflow option. The articulated pendulum joint allows the operator to drive in a versatile, safe and comfortable fashion, even in uneven terrain conditions. Different tires also provide for optional traction on any surface. 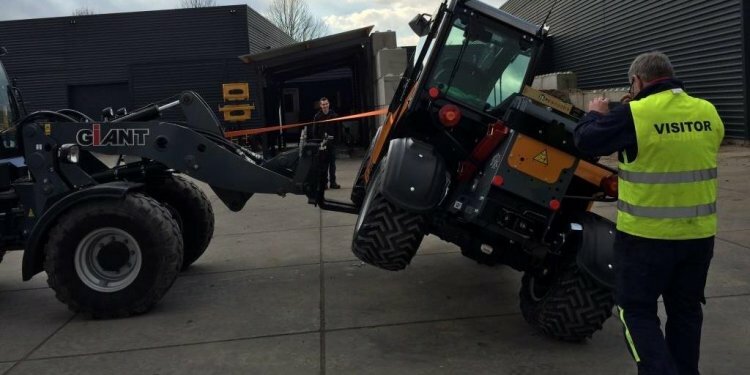 The three new models now expand the Wacker Neuson wheel loader segment to a total of 12 machines, which are available with a bucket capacity of 0.2-1.05 cu. m and therefore constitute a very diverse offer for customers with different applications.